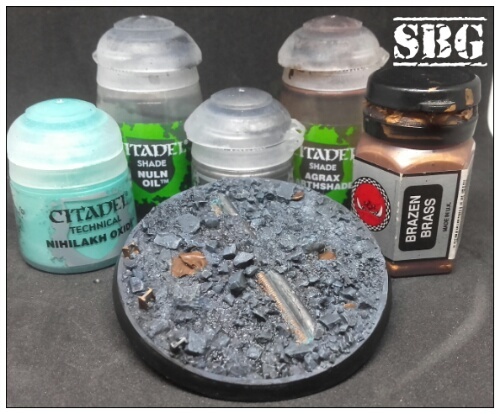 I recently got my first resin base for my Dreadtober Hellbrute, who is called Oathbreaker. My idea behind the name is not because the occupant has broken oaths themselves but because they force others to. “No one can breach these walls!” That is the sort of thing Oathbreaker lives to prove wrong. 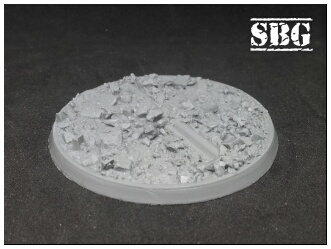 I got a 60mm Urban Rubble base for him. Honestly this was a rough choice as there is a lot on Secret Weapon Miniatures site to choose from. Having seen a lot of fellow bloggers use them it was a no brainer. Finally settling on the above base I waited with excitement and trepidation. The pictures of the base looked ace but I have heard horror stories of bubbles and thin resin. I really enjoyed having so much raised rock details to worth with, it made the two layers of dry brush pop. Thankfully nothing is too over board and I didnt lose any of the details as I painted. So very glad I didn’t mount the model first here. There is ths finished base which I am jist delighted with. Here the paints are actually right to left, oops. So went with a mixture of brass and steel pipes and girders to help brrak things up. Then I noticed there was some cloth included among the rocks so that could a quick lick of paint and a wash. For the Nuln Oil and Agrax Esrthshade I mixed around the areas they were put into, attempting to create some different pockets of colour. It is almost a shame that I am going to cover up so much of this by having Oathbreaker stride across it. Teaching people the true meaning of his name! 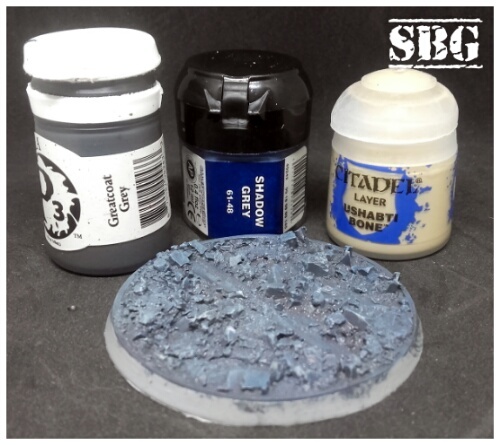 In the summation of this review I can fully recommend this base from Secret Weapon Miniatures. Indeed I have a few others lined up for different projects. So we now have an Instagram (to go along with the Facebook) account as well, to head over and have a look.